Statcounter provides customisable hit counters, visitor tracking, web analytics and website stats for Flickr. 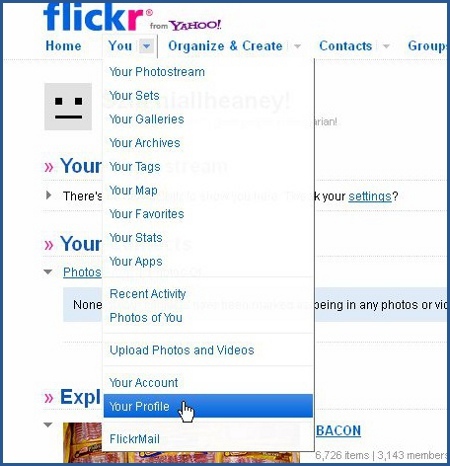 Log into your Flickr account (opens in a new window). Under "You", Click "Your Profile". 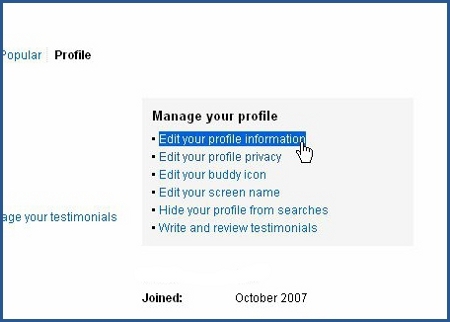 Click "Edit your profile information". Paste your StatCounter code into the "Describe Yourself" box. Scroll to the bottom and click "Save It". That's it! Note: On the 12 October 2012 Flickr blocked third party images from loading. This prevents StatCounter from being able to record your traffic. Please contact Flickr to request they unblock the statcounter.com domain to allow tracking to continue. 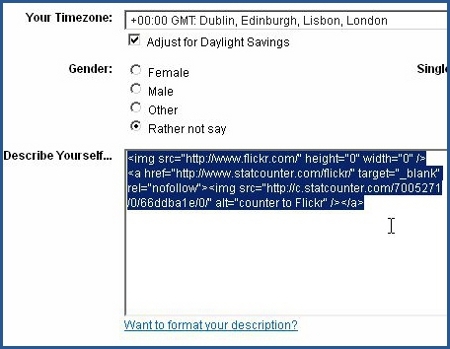 Sign up for a Statcounter account using our Flickr installation guide. 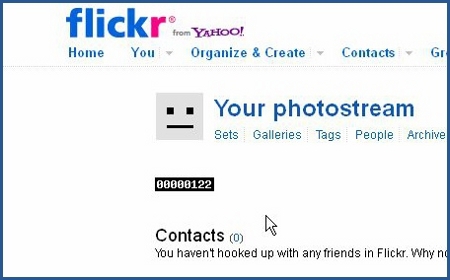 You can reinstall Flickr on your Statcounter project.